Come with us to the beach! Which way shall we go? What shall we do? What will we find? 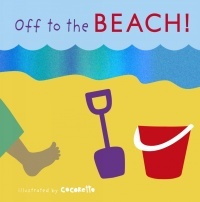 Have fun using your senses in this exciting and interactive visit to the beach! A journey of discovery designed with every child in mind. Come with us to the park! Which way shall we go? What shall we do? What will we find? A stunning interactive book for ALL children of all ages, with a delightful surprise at the end. You are here: Bookshop » Tactile Books » Off to the Beach!